Facebook Reactions are a great way to understand your fan’s emotions! 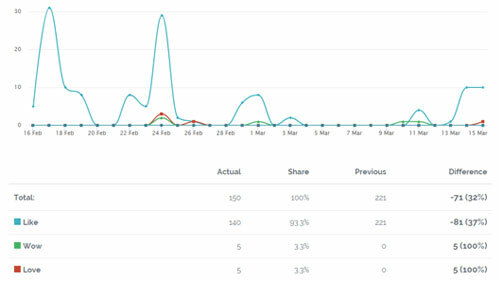 With ZoomSphere you can now measure and analyse the reactions to each post. 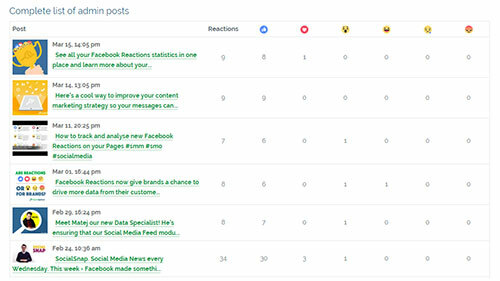 Use our free tool to see which posts are the most engaging and why. Analyse as many Pages as you like for FREE! Publishing - Approval processes & workflows included. 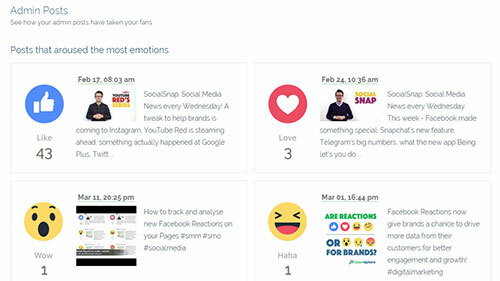 Analytics - Complete social data and metrics for Facebook, Twitter, Instagram, YouTube, & G+. Benchmarking - Quickly compare your profiles against your competitors. Customer Care - Including permission setting, audit trails, metrics, & CRM. Monitoring - Across social media, blogs, forums, and the web. Report Building - One click creates a beautiful PDF of your data. Ask us for a live demonstration of our complete digital marketing platform. Leave your email and someone awesome will be in touch!